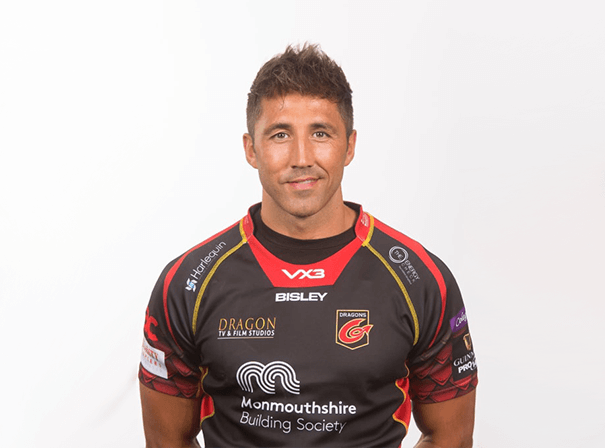 Gavin Henson will always be remarkable as a talented rugby player, but one who also loved the good and fast life away from the sport. The Welshman is also known for being a partner of singer Charlotte Church, which gained plenty of press coverage often for less than favourable reasons. His appeal as a player was the fact he was a fine centre with pace, great balance and ball skills of the sort that made him one of the best in the game when he was on form. In his career he won two Grand Slams with Wales in 2005 and 2008 and played all over the back line from centre to inside half to full back. Gavin was also called up to play on a Lions tour after impressing with Wales in 2005, but injury meant he unfortunately missed out on taking part in the 2008 World Cup. In the same year he played every game of the Six Nations under coach Warren Gatland who succeeded in revitalizing him and his career. Taking a break from the game, Gavin appeared more and more on TV including as a contestant on BBC reality TV programme Strictly Come Dancing. After that he had spells with a number of teams including Saracens, Cardiff Blues and London Welsh as well as Bath. Gavin now plays for Bristol Rugby and has been on many TV shows such as 71 Degrees North, a challenge show set in Norway, as well as dating show The Bachelor, so is an enduringly popular celebrity.